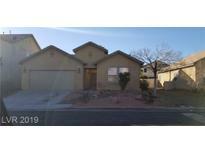 Below you can view all the homes for sale in the Galena Pointe subdivision located in North Las Vegas Nevada. 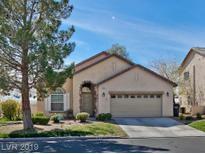 Listings in Galena Pointe are updated daily from data we receive from the Las Vegas multiple listing service. To learn more about any of these homes or to receive custom notifications when a new property is listed for sale in Galena Pointe, give us a call at 702-323-5963. It is rare to find 6 spacious bedrooms with one bed and bath downstairs. MLS#2087815. Signature Real Estate Group. Ready to move right in. A MUST See. MLS#2086696. Rossum Realty Unlimited. Former model home, custom cabinets, neutral paint, separate formal living room and family room with Fireplace. Priced to sell. Must see! ! 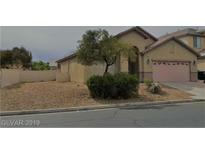 MLS#2078033. BHHS Nevada Properties. Fantastic open light floor plan, ceramic tile and laminate wood flooring throughout, 3rd Bd is Casita with private entrance in front. Energy saving solar included. MLS#2067025. Knapp Realty. Follow me outside to great backyard with huge pool,outdoor BBQ island,new covered patio ,fire pits,BBQ smokers new patio furniture. All items included with home!! ! MLS#2024499. Elite Realty.